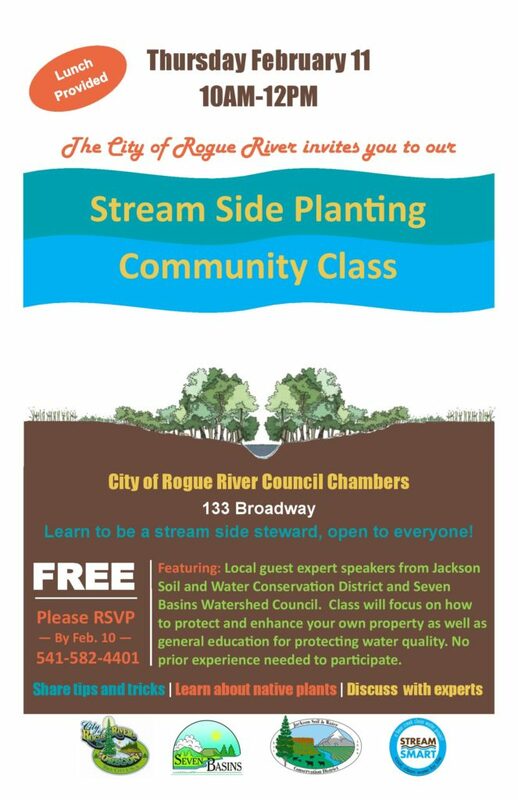 The City of Rogue River invites you to join them for a Stream Side Planting Class on Thursday, February 11. Learn to be a stream side steward, open to everyone! Featuring: Local guest expert speakers from Jackson Soil and Water Conservation District and Seven Basins Watershed Council. Class will focus on how to protect and enhance your own property as well as general education for protecting water quality. No prior experience needed to participate. Lunch is provided. Please RSVP by Feb. 10.